Is there the machine which can process stone into sand? Question: Is there the machine which can process stone into sand? Detail: I want to process stone into sand, do you have this machine? Processing the stone into sand, you need to use professional sand making machine, it can crush and shape the stone, to make sand. 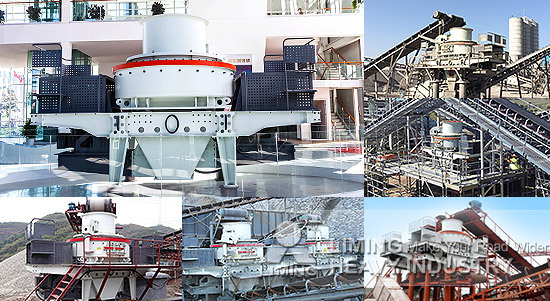 Liming Heavy Industry produced the VSI series sand making machine, VSI series sand making machine and VU gravel aggregate system, they all can meet the production requirements of processing stone into sand. They can use river gravel, pebbles, granite, limestone and tailings, waste, construction waste as raw materials, environmentally friendly and regulated dry process, to produce the quality sand. In terms of the sand grain shape, Liming Heavy Industry sand making system can produce 1-5mm sand and a certain percentage sand powder which can enhance concrete cohesion. If you want to know more about the sand making equipment, please click the online customer service to contact. We will give you a professional configuration and quotation. <<Previous：Can you help me to choose a crusher? <<Next：Are they same products of Raymond mill and MTW European mill?